I don't see why it would be an issue to open a new thread to discuss a subject brought in by a specific news article while keeping a sticky to collect all interesting articles. What clutters the forum are the threads with just a headline and a copy-pasted link. Pau's opinion on why Marc is doing so well? He became a father. That's only half right. Father + Contract Year = I better get my **** together. Nobody ever has enough money and this can certainly make him more paranoid. For whatever it's worth, I often fail to notice if there are new posts in a thread if it's stickied, so I like it when it isn't in general as I'm more likely to become aware of new posts and links in this thread that way. Since I go through posts by clicking on the Next Unread Topic link at the end of each page, I never miss a new post. That might work, but there are maybe a few topics occasionally that I am personally fine with missing new posts in. Me, too. Means I scroll fast to find the link. Isn't the thread title in bold if there is a new post? I'm only using Windows Internet Explorer and it shows all threads with a new or unread post in bold letters, but I would think that was a function of the website not the browser. C'mon, Toke, "the people" was only one guy! You jumped the gun!! Seriously I'm fine either way. Just wanna put in my vote for pinning it. I'd rather have one thread to read all the news then scattered ones here and there. Just wanna put in my vote for pinning it. I'd rather have one thread to read all the news then scattered ones here and there. Haha actually not at all.... it was just the first name that popped into my head when I registered. I'm from Memphis but live in San Diego. Thanks for the welcome. Gasol listed as the #1 guy in the MVP Rankings! Never thought I'd see this. The Knicks are closer to landing Duke center Jahlil Okafor in the draft than they are to landing Memphis center Marc Gasol in free agency, according to an NBA source. 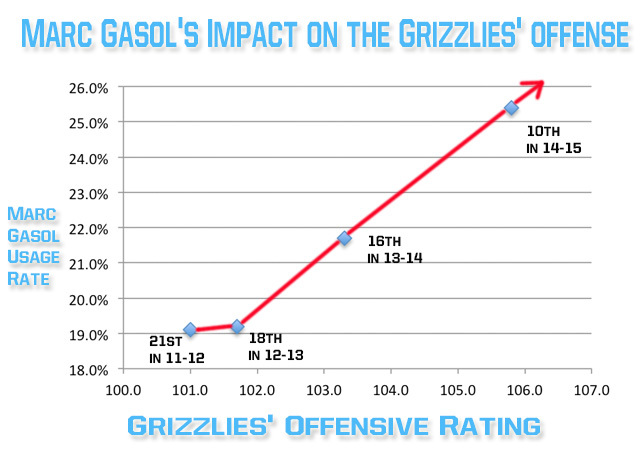 thought this was a good article and relevant to the Grizz. The "Rebuild" is over guys...this team will compete next season.